The optimal inhibition efficiency of DBTA (4-Dimethylamino-benzylidene)-[1, 3, 4]thiadiazol-2-yl-amine) for MS (mild steel) in 1.0 M hydrochloric acid solution was achieved through employing electrochemical impedance spectroscopy (EIS) and weight loss techniques in addition to Scanning Electron Microscopy (SEM). Theoretical calculations based on Density functional theory (DFT) method were carried out for DBTA. Investigations of the mechanism for the corrosion inhibition for MS with DBTA in acidic solution by molecular simulations were performed. 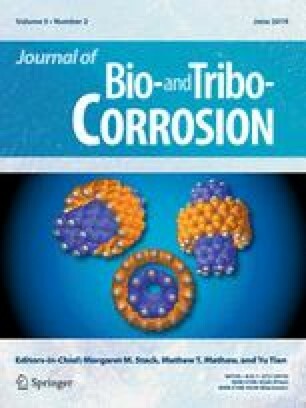 The results demonstrated that DBTA is an excellent corrosion inhibitor for MS in corrosive solution, and the inhibitory effectiveness was 91%, much higher than that expected at the highest concentration of DBTA. Spontaneous process of adsorption of DBTA on the mild steel surface was proved based on Langmuir adsorption isotherm. The authors gratefully acknowledge the support provided by the UKM-YSD Chair on Sustainable Development for the Grant 020–2017’Malaysia’ to carry out this research.